1. 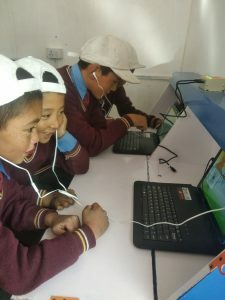 How did the idea of taking digital education to remote schools in Ladakh come about? 2. What was it like to think of creating a “Digital Ladakh”? What were your challenges? 3. What digital solutions did you use? How much of it was off-the-shelf and how much did you need to customise? We called our solution the “DigiLab”. 4. How did you manage the setup of these DigiLabs in such tough terrain? 5. How have the children responded to technology? 6. 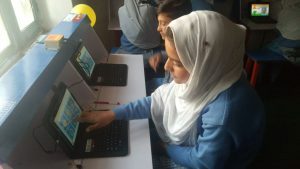 Tell us about the MapMySchool project. 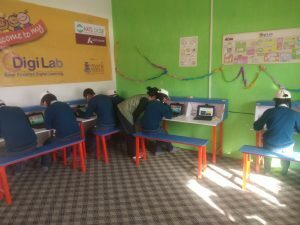 Was this is the first time schools in Ladakh being geo-mapped? What were the benefits? 7. What are different sorts of technologies that you are being used in your digital education initiatives? Who are the most prominent technology partners/contributors? 8. You were a techie yourself. How much that helped in becoming an entrepreneur? 9. What’s the road ahead for 17000ft?